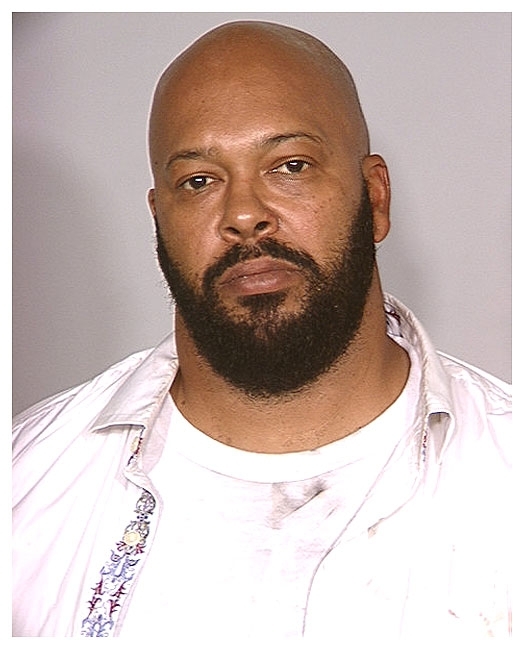 Rap music titan Marion 'Suge' Knight posed for the above mug shot in August 2008 after he was arrested by Las Vegas police for assaulting his girlfriend. According to cops, Knight, 43, was driving in a car with the woman when they began to argue. She alleges the rap producer punched her so she grabbed the vehicle's wheel causing the car to stop. When police arrived on the scene they saw Knight standing over her with a knife in his hand. He was taken to the Clark County Detention Center where officers found Ecstacy and Hydrocodone in his possession. Knight was charged with assault with a deadly weapon, battery, domestic violence, and drug possession. Submitted by mpcooney2 on Thu, 2011-04-21 21:07. Submitted by antiz on Mon, 2011-02-07 19:10. No, not suge... Such a nice man.